Odyssey presents the Black Label™ FZGSPIDDJSR2BL case featuring our patented Glide Style™ gear platform, great for positioning laptops, tablets, effect processors, and other performance essentials where you want over the controller. 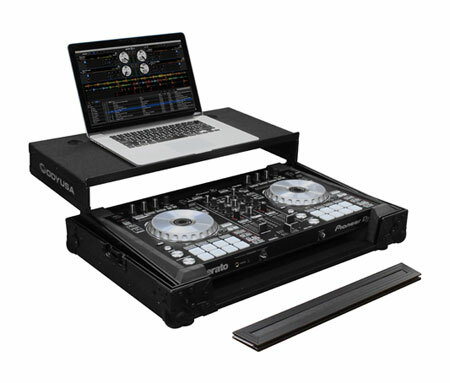 Specifically made for the Pioneer DDJ-SR2, it also features our exclusive, patent pending, high-density bevel foam interior that neatly angles upward raising the controller for an efficient control surface. 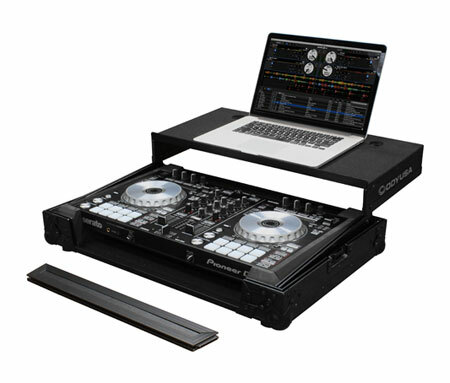 The stylish V-Cut™ removable panel allows for easy access to the front controls and headphone/mic jacks. 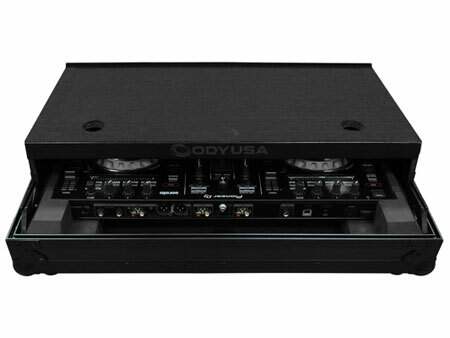 A spacious ventilation pit under the controller is ideal for storing cables and other accessories. 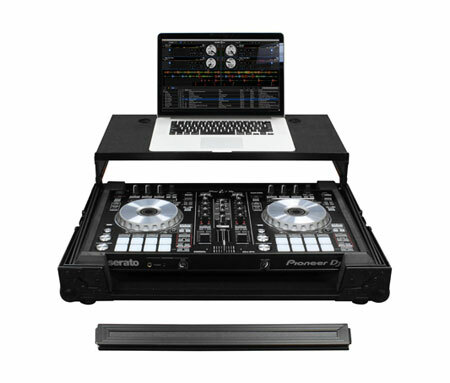 Get yours now so at your gig you'll be ready to make an entrance, so back on up 'cause you know that with your DDJ-SR2 in a Black Label™ case you're about to rip it up! Also available in our standard Flight Zone® Series with silver and chrome hardware |FZGSPIDDJSR2|. 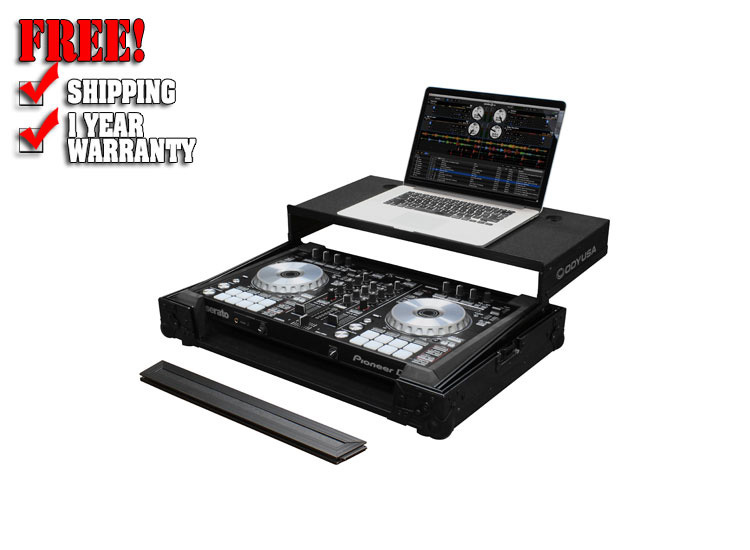 Approximate Shipping dimensions (exterior): 28" x 10" x 19.75"